The band you want to hang with. 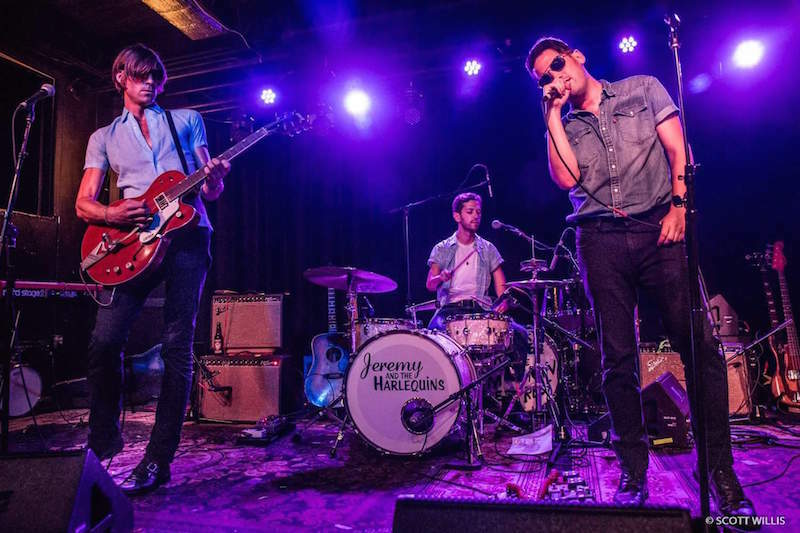 When we think of those bands who would be a blast to hang with, Jeremy & The Harlequins immediately come to mind. 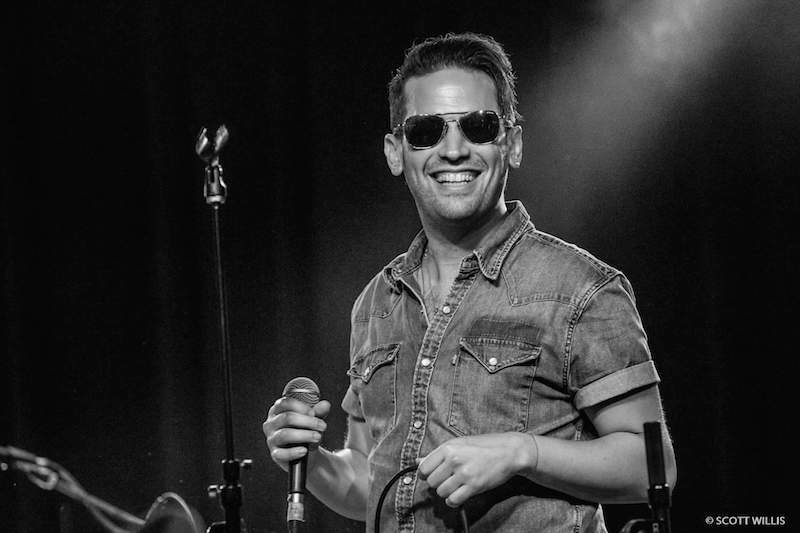 No matter how busy touring gets, the New York natives make sure to live their best lives on the road, something that is obvious from the energy they bring to the stage. 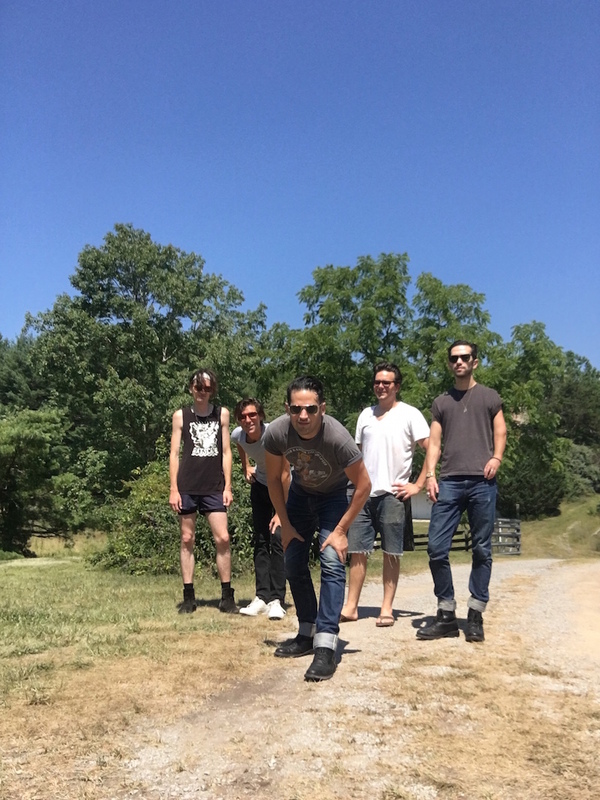 In early July, the rock'n'roll five-piece packed up their things for a string of summer shows, performing their new music in cities across the US like Nashville, DC, NYC, and Milwaukee. 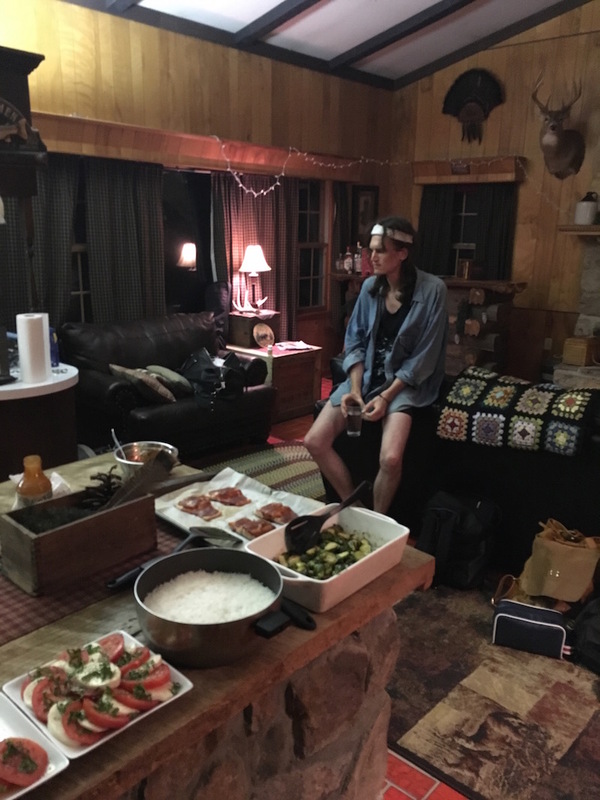 In the midst of their bustling days, the charismatic musicians found time to document their travels, which included (but was not limited to) cooking up feasts in cabins, admiring Fourth of July fireworks, and stumbling across hidden gems in new cities. Make sure to track them on Bandsintown to catch them in action! 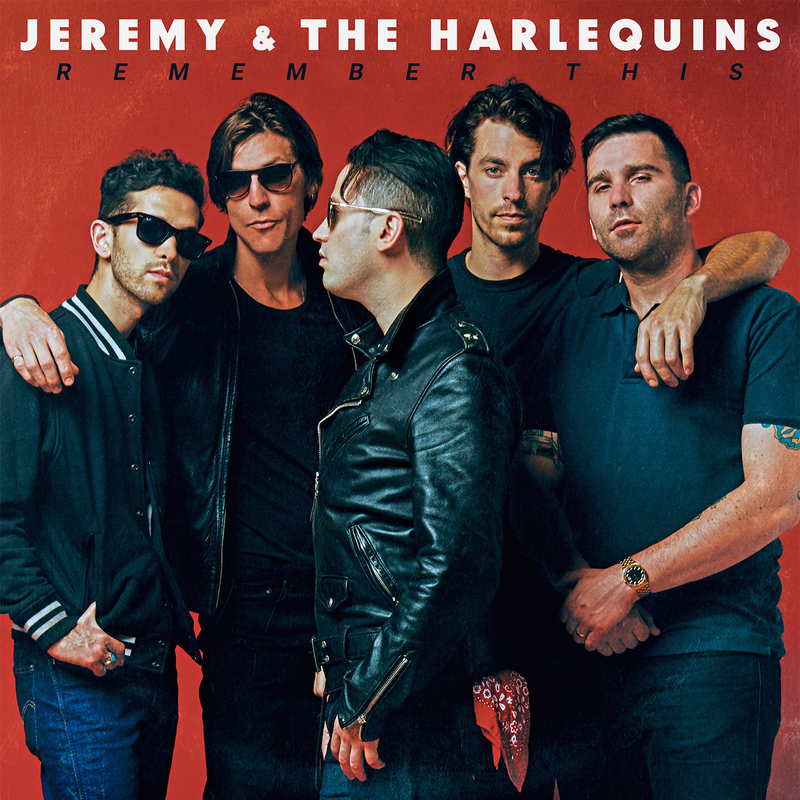 This is Jeremy from Jeremy & The Harlequins. 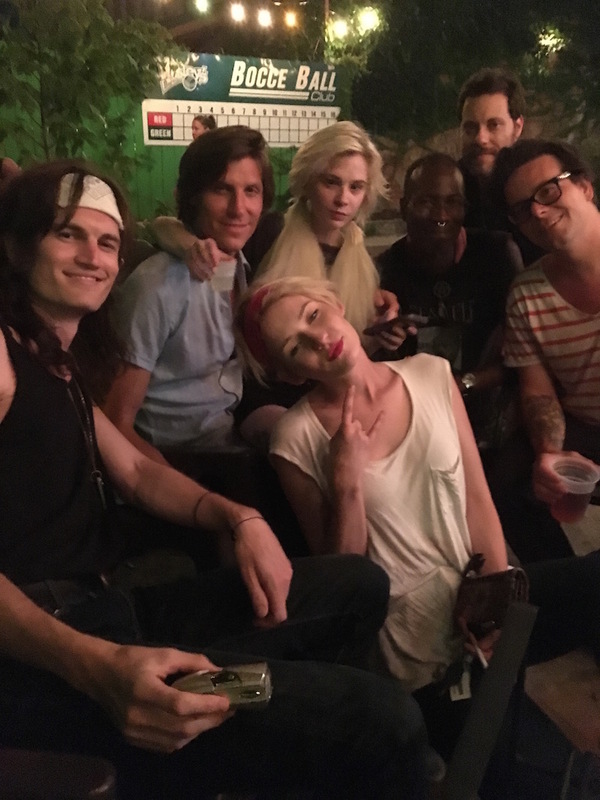 We're having a great time on tour this summer with Chuck Prophet and The Mission Express. Maybe you saw us, maybe you haven't been as fortunate. Either way, we can almost guarantee you haven't seen the behind-the-scenes part of the tour. 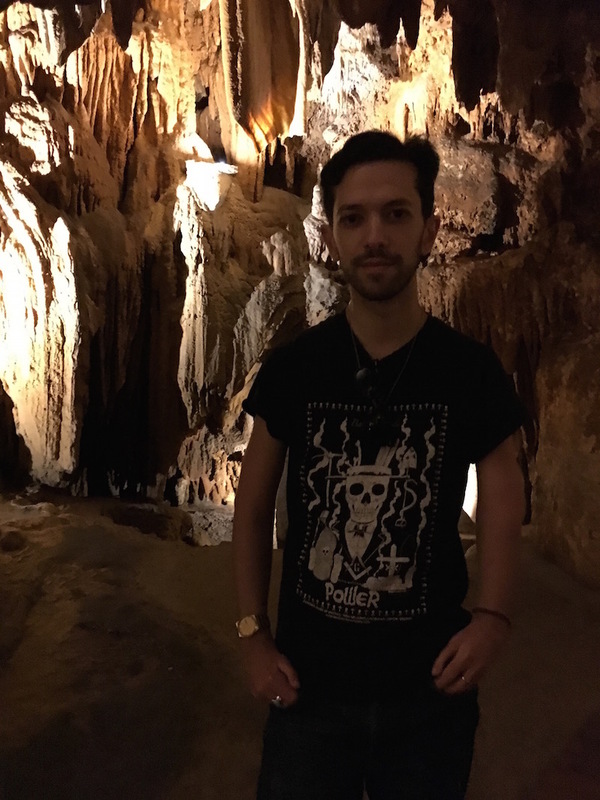 Because not everyone can squeeze into our unairconditioned van, we've comprised this tour journal to share some of our favorite moments with you. Today is the kick off of our summer tour supporting Chuck Prophet. We're in Newport, Kentucky right now, just across the river from Cincinnati. Last night, we stayed in the town that Stevie and I grew up in—Toledo, Ohio. What did we do on the 4th of July in Ohio? Well, we did everything that five New Yorkers would want to do when free from a concrete jungle. 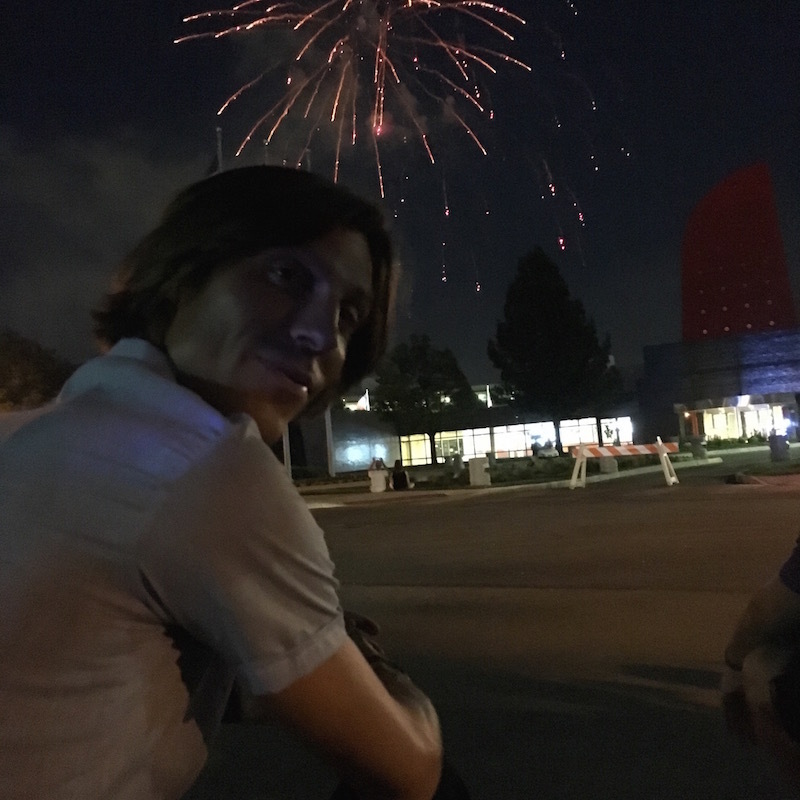 We kicked off the day with a run in the park, played through our set a couple times, swam in a limestone quarry, had a BBQ at my parents house, and then headed downtown for the fireworks. We ended the night hanging with friends new and old at Wesley's, a bar downtown. If this is how the tour is going to be, then it's gonna be a blast. Tonight we are in Nashville, Tennessee playing The Basement East. Last night's show was great and Chuck Prophet is a swell guy. We just got back from moseying around East Nashville. We stopped into Barista Parlor for a coffee, and then a rad vintage store called Star Struck Vintage. Miley Cyrus was also shopping in the store, but I don't think she knows who we are... yet. Can't wait 'til the gig tonight, and also to see some good friends we haven't seen in awhile. I think someone put alcohol in the bourbon (don't call it whiskey) last night because I don't remember what happened. 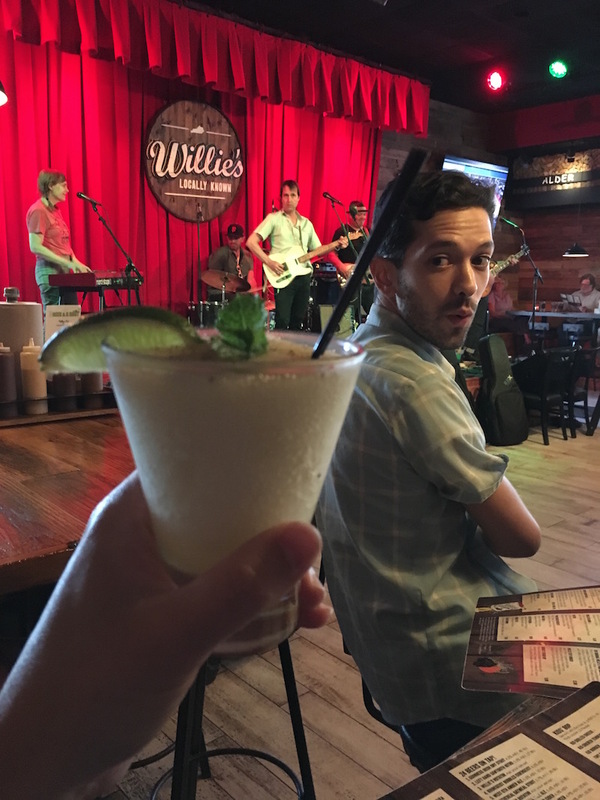 We played at Willie's Locally Known last night with Chuck and found that people from Lexington have a lot of pride in their bourbon. So much so, that the bar staff and kind residents of Kentucky brought us five rounds of shots while we were on stage. And... they wouldn't let us get off the stage until we finished them. After the show, I think we went to downtown Lexington, but to be honest, maybe I was dreaming. Last night we were in Rocky Mount, VA and today is a day off. What will we do, you ask? Well, we decided to rent an Airbnb in the Shenandoah Valley. 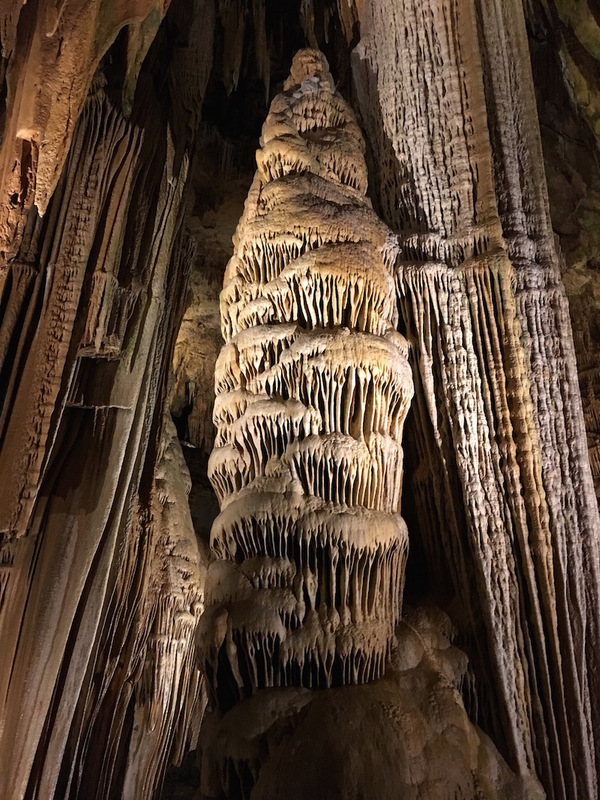 Our first stop was to the Luray Caverns, which is a 1.3 mile cave underground. For dinner, Stevie is cooking BBQ Salmon. 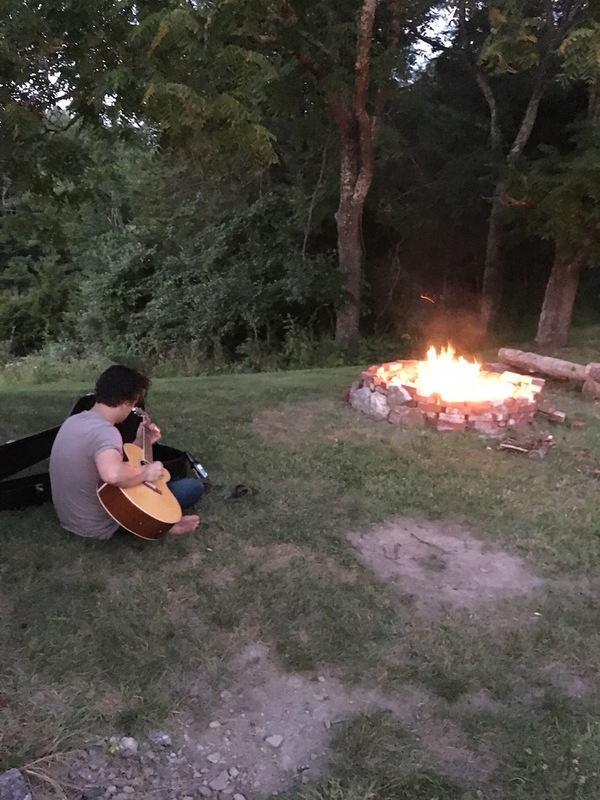 Craig cut some wood and built a fire. After dinner, we'll do some star gazing. Not bad for a few New York boys, right? See you tomorrow in Sellersville, PA!